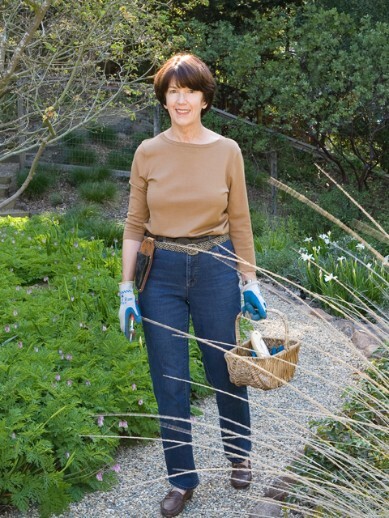 Katherine Greenberg is an award winning garden designer and author, based in Lafayette, California, with a special interest in native plants and gardens suited to California’s summer-dry climate. Her inspiration comes from the beauty and diversity of the natural landscape. A fifth-generation Californian, Katherine grew up in Monterey County, exploring the coastal bluffs of Big Sur, the hills and valleys of the Santa Lucias, and beyond. Her fascination with the native flora led her to study horticulture and landscape design after receiving degrees in history and library science. Through her travels, Katherine has visited gardens in other regions of the world with a similar climate, including Australia, South Africa, and the Mediterranean Basin, where she feels very much at home. 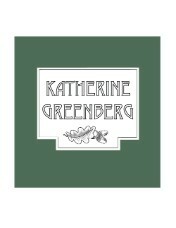 Katherine is a past president of the Friends of the Regional Parks Botanic Garden, the Mediterranean Garden Society (MGS), and Pacific Horticulture Society (PHS). She is on the board of the UC Botanical Garden at Berkeley and an Advisory Board member of the Friends of the Regional Parks Botanic Garden, the Northern California Branch of the MGS, and The Ruth Bancroft Garden. Katherine attended the University of California, Santa Barbara (B.A.) and Berkeley (M.L.S. ), the University of Madrid (Facultad de Filosofía y Letras), and Merritt College (Landscape Horticulture). She has taught classes at the Regional Parks Botanic Garden and Merritt College.